Two weeks ago I got up at the ungodly hour of 4:30am on a Friday. By choice. I grabbed my suitcase, my laptop and camera bags, and gave Sammy a scratch behind the ears. I hopped into my car in -12C weather to head to YVR to catch the first flight of the morning to Toronto. Why you may ask? 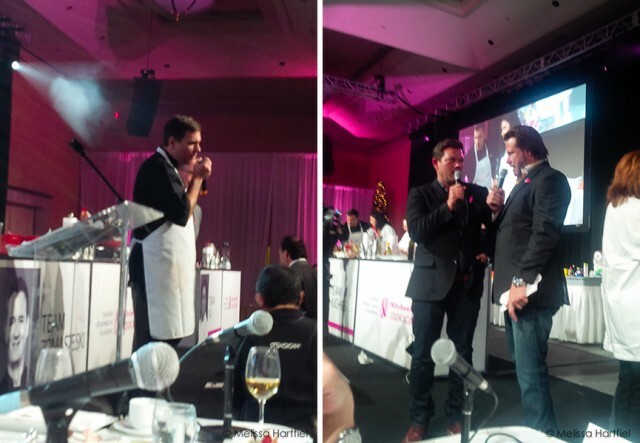 Because with FBC being a media sponsor for the KitchenAid Cook for the Cure Culinary Showdown in support of the Canadian Breast Cancer Foundation, it was time to put on my judging pants and get ready to size up 5 Food Network Canada Celebrity Chefs: Mark McEwan, Chuck Hughes, Lynn Crawford, Corbin Tomaszeski and Vikram Vij. The event took place at the historic Fairmont Royal York Hotel in downtown Toronto. I’ve stayed at the Royal York before but this time was different. As soon as I walked into the lobby it felt like I’d been deposited in the midst of an old fashioned Christmas! Add to that an evening walk enjoying Christmas lights around Yonge and Dundas with an old friend on Friday and I was definitely in the festive spirit! 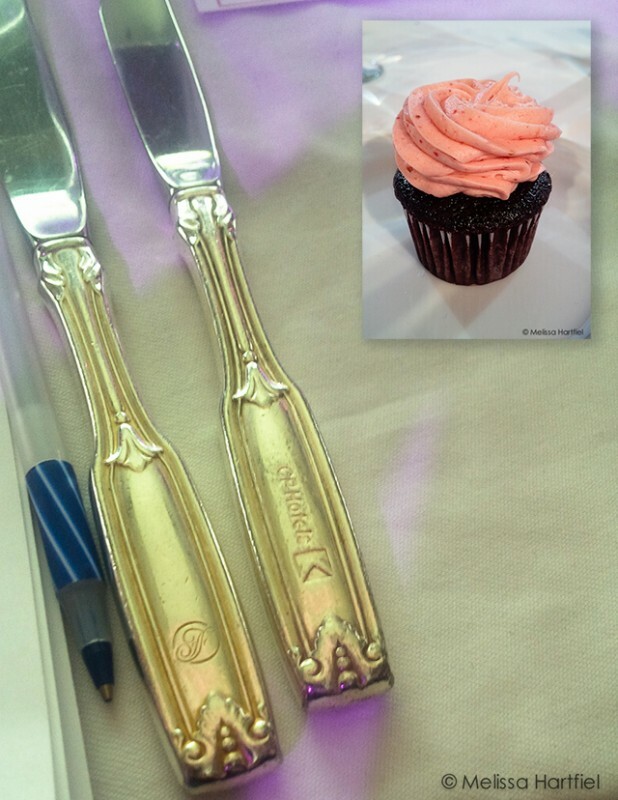 Chef Cirillo pointed out our historic cutlery to me – back from when the Royal York was one of the famed CP hotels! And those pink cupcakes were divine! 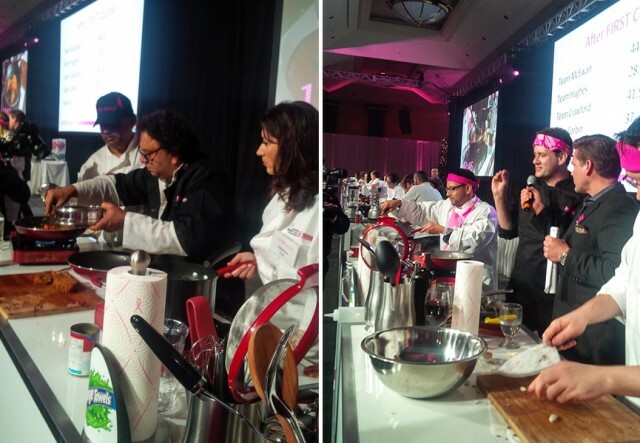 I knew that the top 50 fundraisers in the Cook For the Cure campaign would be competing on teams led by the aforementioned celebrity chefs. 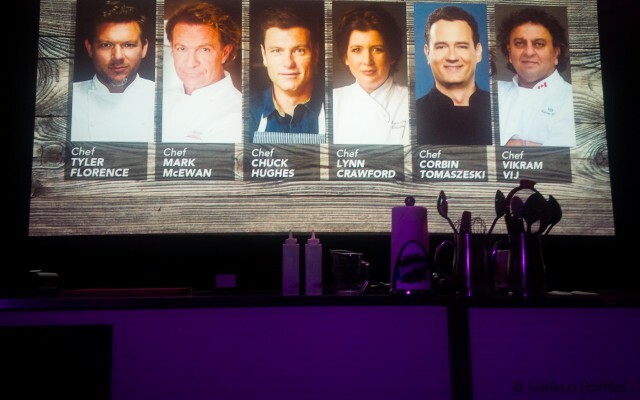 I knew that Dean McDermott of Chopped Canada and Chef Tyler Florence would be hosting. And I knew that other fundraisers would be in the audience cheering the teams on and enjoying a delicious dinner. When I arrived there were big signs warning us that upon entering the closed off ballroom we would be filmed. Gulp! 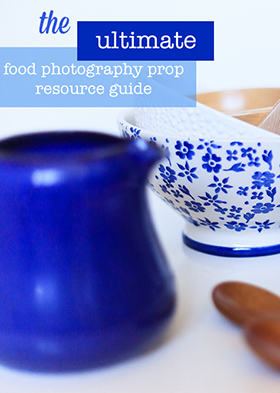 Photographers like being behind the camera – not in front! Everyone was dressed to the nines in suits and cocktail dresses or in chef whites, ready for a fun night. I didn’t know a soul. But then out of the crowd I spotted my old colleague and friend, Mardi, along with FBC Members Kris from 80Twenty and Jennifer from Seasons and Suppers. Hugs all around! And then the lovely ladies representing KitchenAid Canada from Hill & Knowlton found me and made sure I was taken care of. They snuck me into the ballroom while the camera crews set up and showed me the stage and where I would be sitting: up on the stage at the judges table, right smack in front of Lynn Crawford. Seriously – not more than 10 feet away. Lynn Crawford, people!! 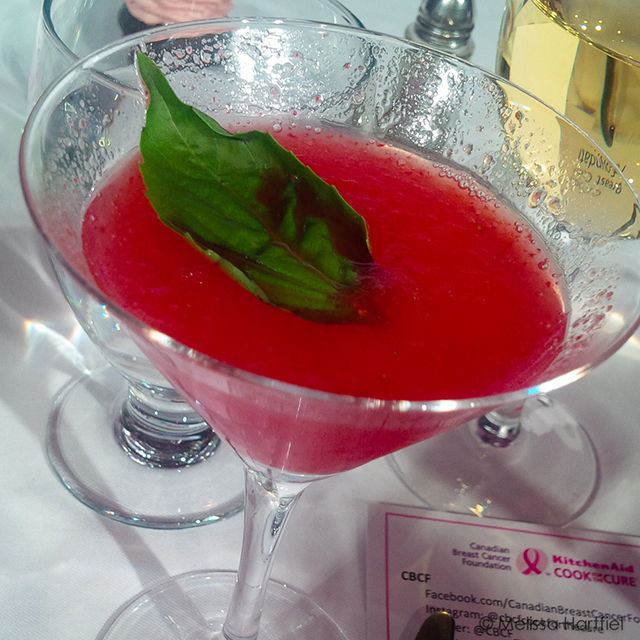 Then I was whisked back to the VIP reception, given a strawberry vodka cocktail and told to relax until the judges meeting. So I did (it was a very good cocktail!). A few minutes later, a production manager came and found me and whisked me back to the ballroom to meet my fellow judges and get briefing on what to do. I found myself sitting between Chef John Cirillo of Cirillo’s Culinary Academy in Toronto, and Claire Tansey, Food Director for Chatelaine Magazine. 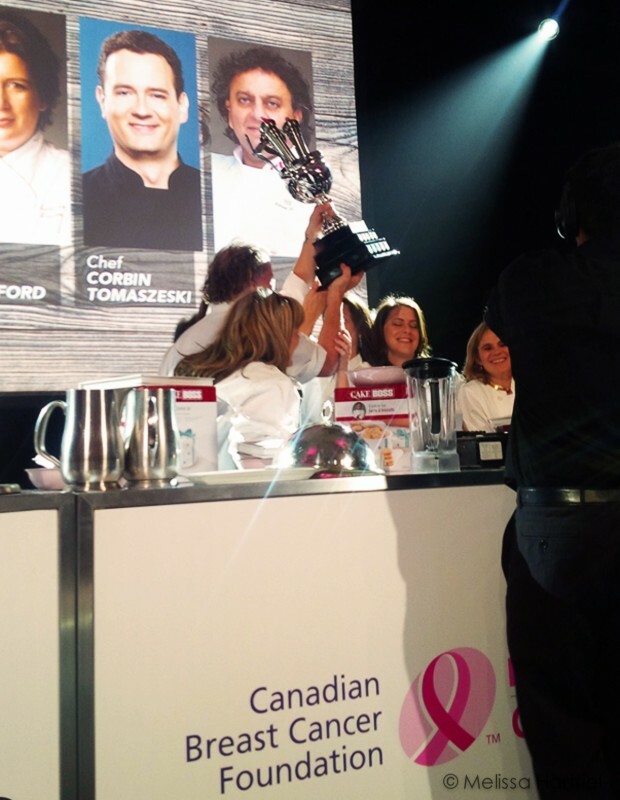 Our other two judging companions were Toronto Star food reporter Michelle Henry and Canada AM’s Beverly Thomson. Woah! Surrounded by some serious talent! My nerves were still going a bit wild but… a rescue was at hand! My FBC partner in crime, Ethan Adeland, who’s been travelling Asia for the past month, popped onto What’s App from a cafe in Cambodia to keep me company and follow along virtually. I sent him photos and he manned the FBC twitter and IG accounts while I ate a lot of food! It was pretty cool to get to share the experience with him in real time from opposite sides of the world! 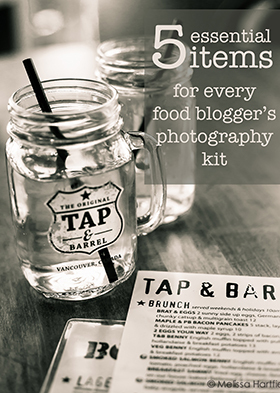 My cocktail from Chef Lynn – and our social media cheat sheets! There was a lot of fierce competition and a lot of smack talk happening. But it was all in good fun and the audience loved it. For each course the chefs had a mystery box of ingredients that had to be incorporated into the dish. Being from Vancouver, the only chef whose food I had actually tasted was Chef Vij – Rangoli is one of my favourite Vancouver lunch spots. 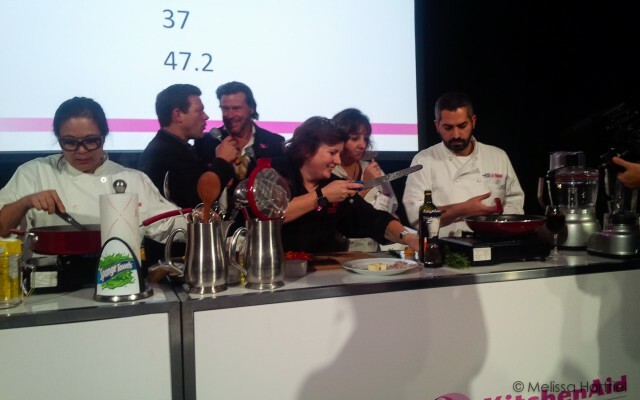 The other judges were all Toronto based and had tasted everyone’s food except for Chef Vij! Almost immediately we could smell Indian spices wafting through the air and that convinced all of us to “go rogue”, as Tyler Florence and Dean McDermott commented, and hit the stage to investigate! 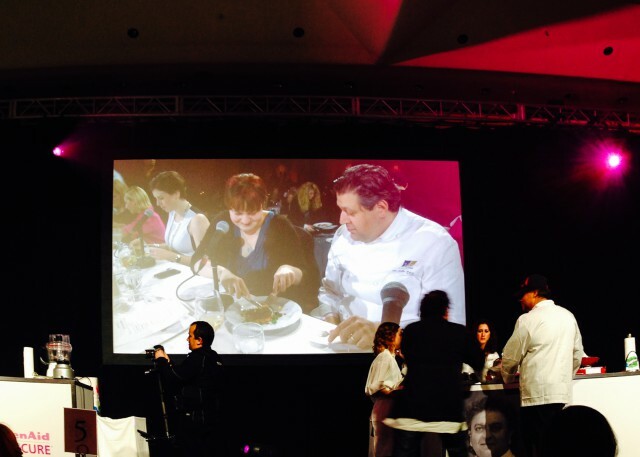 It was pretty unanimous – Chef Vij’s team won the first round with their amazing soup dish! 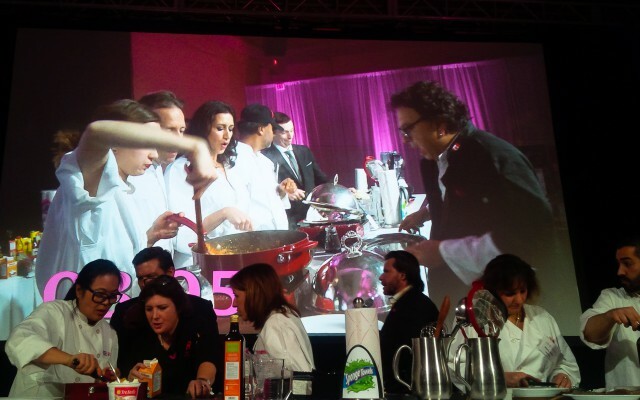 I love this photo of Chef Crawford’s team working in front of us and Chef Vij’s team working up on the big screen! The teams worked hard. The assistant sous chefs were not chefs at all. They were from all walks of life but had managed to raise impressive amounts of money for the CBCF. They had spent all day Saturday in a culinary boot camp with their Celebrity Chef team leaders learning knife skills and cooking techniques. They did an outstanding job. Using mystery ingredients, coming up with an idea and cooking and plating a dish in under 20 minutes is impressive no matter who you are! Add in a hundred cameras and microphones in your face and it’s even more impressive! When your nickname is “spaz” because of your uncanny ability to spill or knock over anything in your path, it was a bit nervewracking to have to cut a piece of shared beef tenderloin in a ladylike fashion while having ten cameras in your face, a ballroom of people watching you do it on 4 thirty foot screens and Tyler Florence popping a microphone under your nose asking you what you were thinking! 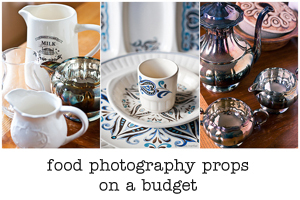 I’m glad my mom was a table manners ninja when we were growing up – who knew it would pay off like that! I have to send a big thank you to Chef Cirillo (pictured next to me) who took me under his wing and put me at ease. He was a gentleman! And surprisingly, judging the food wasn’t as hard as I thought. While I wasn’t necessarily able to articulate what I was tasting the way the other judges could, my palette picked up on the differences and immediately knew what it liked and what it didn’t. All five of us were remarkably consistent in what we liked with little discussion amongst us! 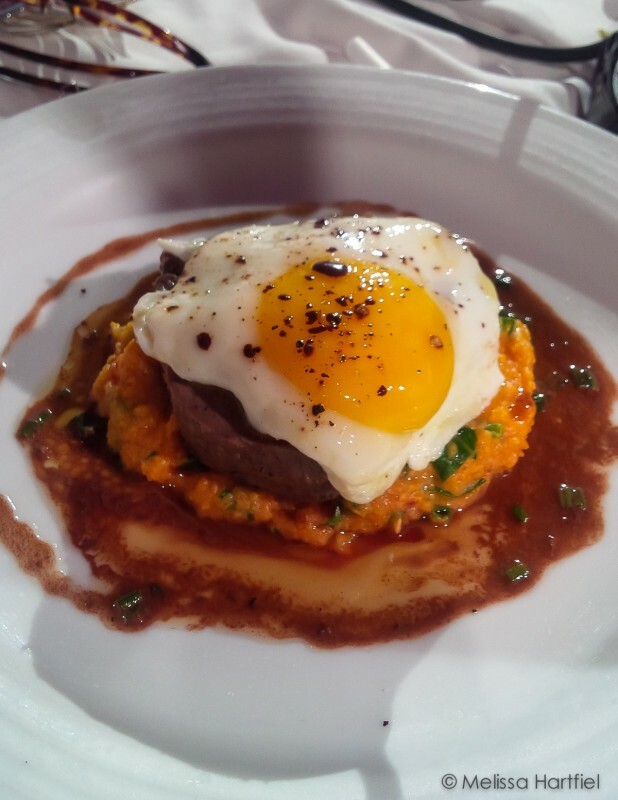 One of my favourite dishes, by Chef Lynn’s team – a take on the BLT with beef tenderloin, grits and an egg on top. It was beautiful to look at and delicious to eat! In between courses, the audience go to get in on the fun while trying to see which team could create the longest pasta noodle using the KitchenAid pasta maker attachments. Look at them go! 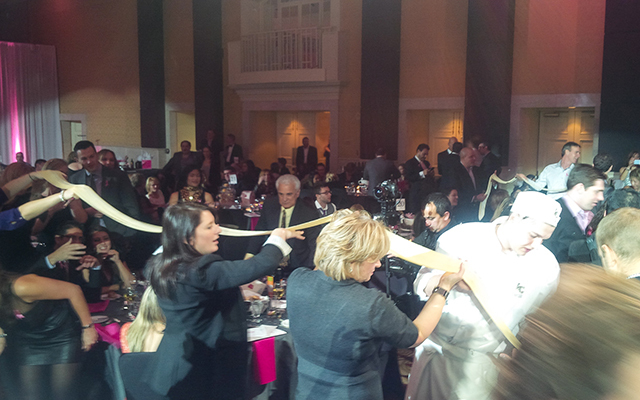 Then they had the live auction where some very generous prizes and bids sent the tally for the event even higher. I even took a photo of Food Network’s Christine Avanti for Ethan. I figured it was only fair when I got to spend time with the likes of Chefs Florence, Hughes and Tomaszeski! Here we have the hard to capture Chef Hughes – what a ball of energy. He never stays still long enough to get a photo! 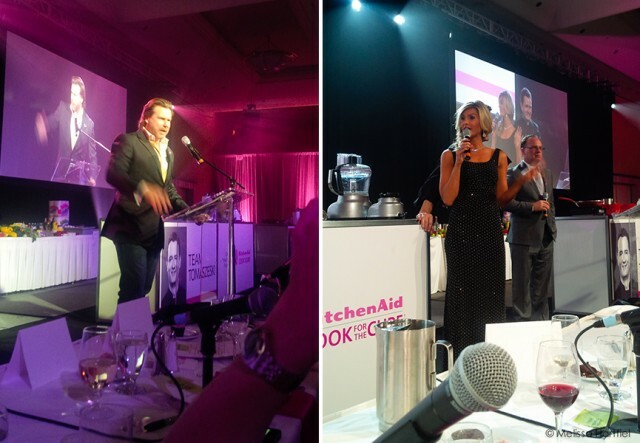 And Chef Florence and Dean McDermott discussing what they thought I might be tweeting… no pressure to be witty there! It was a tight battle that Chef Vikram lead going through the first two rounds. But Chef McEwan was never far behind and in the end, his take on the dessert challenge tipped the scales in his favour. 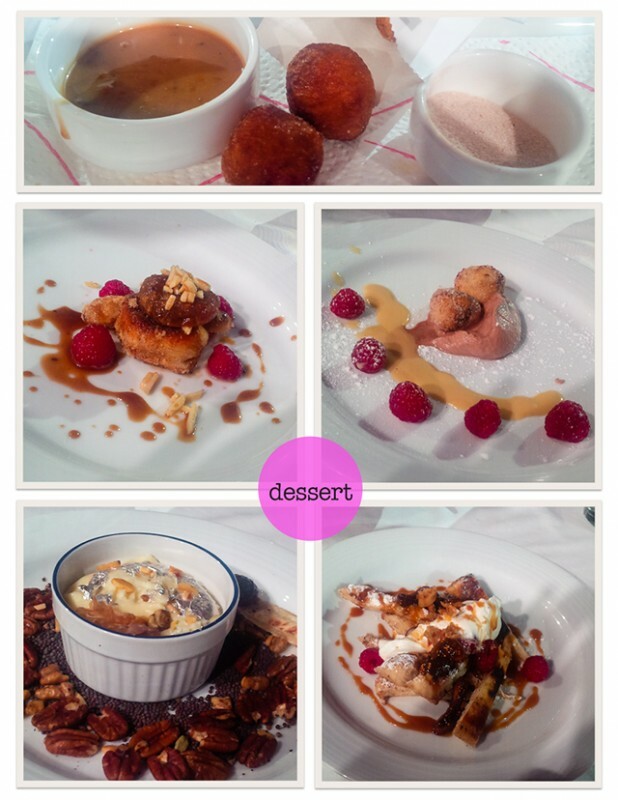 Here are the all the chefs’ desserts! Chef McEwans is in the bottom left corner. It was a tremendously fun event. It pushed me way out of my comfort zone but in a good way. A lot of money was raised for a very worthy cause. And it was great to see so many fundraisers get to take part in something they will remember forever! Kudos to everyone involved in pulling off such a successful event and making sure everyone had a great time. And thank you to KitchenAid Canada for inviting FBC to come on board and for making my trip and stay in Toronto so enjoyable. And most of all, thank you to all of you who contributed to my personal fundraising campaign. Every dime was truly appreciated and will go to helping support the Canadian Breast Cancer Foundation’s research, treatment and post treatment care for women and men battling breast cancer. Thank you everyone! Wow Melissa! What a wonderful and delicious adventure you were able to take part in. 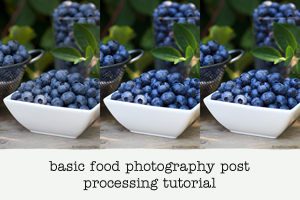 I’m sure this will be one of the top experiences for you to date as a food blogger. So nice that Ethan was “there” to lend you some support.